ITD Solutions is a master agent for the world’s leading telecom suppliers and cloud service providers. We help businesses find the perfect cloud, data and telecom services for their company. Our team takes care of all the research and coordination along the way. We provide all the traditional data and telecom services, but our specialty is in simplifying migration to the cloud. Because we’ve spent years building close working relationships with major companies like Comcast, Sprint, Time Warner, and AT&T (to name just a few), we’re able to negotiate amazing rates for our customers. In fact, our low prices and unmatched customer service rank as the top two reasons our clients keep coming back, according to our customer feedback and survey responses. We’re headquartered in Boston and, in fact, ITD Solutions is the #1 Boston, Massachusetts data & cloud services master agent and cloud service provider. Plus we provide services in every corner of the country. We also have an office in Clearwater, Florida in the Tampa Bay region. ITD helps you find the best solution for your company’s voice, data or cloud service needs. Below, you’ll find a list of some of the stellar voice, data and cloud service companies with which we have strong, long-term relationships and supplier agreements. We think you’ll find more than a few names that have earned a national or global reputation for excellence in their fields. At ITD Solutions, we rigorously investigate all of our suppliers to ensure that they’re a good fit for our customers. We evaluate their financials, talk to their existing customers, and scrutinize both their customer service policies and their menu of services. Our suppliers are chosen to fill specific product niches and must meet strict criteria in terms of commitment to the channel and quality of service. All of our supplier contracts are meticulously negotiated with a focus on financial stability, competitive products & commissions, and ease of doing business in a two-tiered distribution model. Whether you’re one of our treasured customers or part of our partner program, we’re confident that our diverse portfolio of top-notch providers will meet your needs. And if you’re a supplier interested in becoming an official ITD Solutions Partner please contact CEO Greg Hancock for more information. ITD Solutions’ Service Providers: The Best in Business Here’s an alphabetical overview of the leading service providers we work with at ITD Solutions. As a leading provider of managed communication & network services, Appia Communications is focused on small-to-midsize business organizations. They’ve been recognized as one of America’s fastest-growing private companies for five consecutive years (Inc., 2007-11); one of the fastest-growing solution providers in the technology industry (CRN, 2009-11); and one of the top managed service providers in the world (MSPmentor, 2009-12). AT&T is the primary provider of local service in 22 states (CA, NV, IL, MI, IN, OH WI, TX, OK, KS, MO, AR, NC, SC, FL, GA, AL, MS, LA, TN, KY, CT). Our agreement with AT&T gives us access to all of their regions: East, West, Midwest, Southeast, and Southwest. AT&T offers dial tone, local data products (including Internet), a wide range of other local products, and long distance services. CenturyLink is the third largest telecommunications company in the United States. The company provides broadband, voice, and wireless services to consumers and businesses across the country. They also serve government and wholesale customers in local, national, and select international markets by way of their high-quality advanced fiber-optic network, which includes multiple data centers. CenturyLink is recognized as a leader in the network services market by key tech industry analyst firms. Their customers range from Fortune 500 companies in major metro areas to families in rural America. Headquartered in Monroe, La., CenturyLink is an S&P 500 company and is itself featured in the Fortune 500 as one of America’s largest corporations. DSCI is the leading hosted communications provider in the Northeast. With the power and reach of its Hosted Communications Network, DSCI delivers innovative unified communications and connectivity services to more than 1,300 businesses and organizations throughout the region. DSCI backs its services with a zealous commitment to Customer Care, including a 100% network uptime guarantee and 24/7/365 live-answer technical support. Hosted Communications: Move your business “to the cloud” with voice, video, messaging, and collaboration solutions hosted on DSCI’s network. Connectivity Services: Succeed at light speed with high-capacity Internet and data services to connect single or multiple sites. Jive Communications provides enterprise-grade Hosted VoIP and Unified Communications to businesses, government, and educational institutions. All of Jive’s hosted services run on Jive Core, their proprietary, cloud-based platform. Jive Core has been purpose-built from the ground up to deliver the most reliable, powerful, and economical hosted communication services on the market. NaviSite, a Time Warner Cable Company, is a leading worldwide provider of enterprise-class, cloud-enabled hosting, managed applications and services. 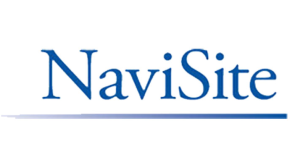 NaviSite provides a full suite of reliable and scalable managed services, including Application Services, industry-leading Enterprise Hosting, and Managed Cloud Services for enterprises looking to outsource IT infrastructure and lower their capital and operational costs. Enterprise customers depend on NaviSite for customized solutions, delivered through a global footprint of state-of-the-art data centers. Polycom believes in the power of bringing people together, regardless of location, to create better collaboration experiences and change the way people work. As the leader in unified communications and collaboration, we have been pioneering breakthrough communication experiences for nearly 20 years. Find out why more than 415,000 organizations around the globe, and across all industries, rely on Polycom voice, video and telepresence solutions as the backbone for collaboration. Bright House Networks Business Solutions is a trusted provider of Phone, Internet, Video, and IT Services for businesses in Tampa and Central Florida, as well as Bakersfield (CA), Birmingham (AL), Detroit (MI), and Indianapolis (IN). We are a locally based, award-winning customer care team. Our tech experts are standing by 24/7/365 to help your business. Beyond that, we are the 6th largest cable provider in the country. See the benefits of a local provider and industry expert; that’s the Business Solutions difference. SimpleSignal is a cloud-based Unified Communications and collaboration service provider for U.S. and international business customers. SimpleSignal has created the most flexible business communication solution in the industry by enabling the use of any combination of mobile device, desk phone, and/or video equipment —regardless of manufacturer. SimpleSignal integrates its advanced IP voice and mobile video technology with CRM apps like Salesforce, Sugar, and Netsuite, in addition to apps from Facebook, Microsoft, and Google. SimpleSignal has offices in Denver, CO and Dana Point, CA. EarthLink, Inc. is a leading IT services and communications provider for more than 150,000 businesses and one million consumers nationwide. They empower their customers with managed services that include cloud computing, managed and private cloud solutions, and virtualization services such as managed hosting and cloud workspace. EarthLink’s robust portfolio includes IT security, application hosting, colocation services, and IT support. Broadview Networks delivers advanced communications services and support for businesses of all sizes within the country’s northeast, New England, and mid-Atlantic regions. They deliver a broad array of integrated communications solutions, including voice, data, Internet, and IP-based solutions, as well as premium-quality hardware. 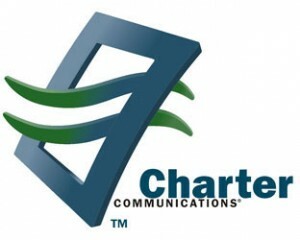 Charter Communications, Inc. is a Fortune 500 company and the fourth-largest cable operator in the United States. Charter provides advanced video, high-speed Internet, and telephone services to approximately 5.5 million residential and business customers in 27 states. At the core of its mission is providing great value to its customers. To that end, they offer high-quality entertainment and communication services, continually improving customer care with a workforce of more than 16,000 employees nationwide. Evolve IP is a pure-play cloud services provider, focused very successfully on midmarket (i.e. 25 to 2,500 employees) companies. Evolve IP has a broad array of cloud solutions, which are pre-integrated into a seamless solution providing customers with the full power of the cloud from one vendor. Their products are delivered via a private, multi-carrier MPLS network that provides guaranteed QoS. Products can also be delivered via Public IP or integrated into a client’s existing network. AireSpring offers next-generation Integrated, SIP/VoIP, Voice, Data, Cloud Hosted IP PBX, MPLS and Conferencing products geared to deliver power and flexibility at cost-effective rates. When business needs power, flexibility, and affordability, AireSpring is THE solution! AireSpring has been awarded “Product of the Year,” “Best Value,” “Members Choice,” and dozens of product awards. To-date, AireSpring has set the record for more Telecom Association awards than any other carrier/reseller. 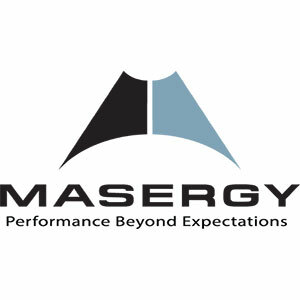 MASERGY is a global network service that redefines enterprise-wide area networking through innovative products, advanced capabilities, and a superior customer experience. Their pure IP/MPLS global network supports real-time applications, such as voice and video — even across converged corporate networks. MASERGY is the optimal provider for corporate unified communication solutions. 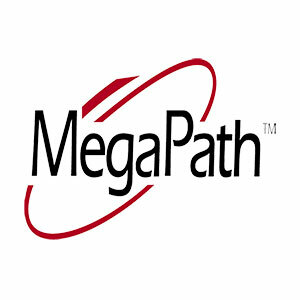 MegaPath operates one of the largest end-to-end communications networks in the country. They offer a wide selection of data services, including: T1/Bonded T1 and Ethernet; voice service (including Integrated Voice with support for Analog, PRI, SIP Trunking, and Hosted Voice); secure virtual private networks via MPLS and SSL; and Managed Security Services, including Anti-Virus, Firewall, Intrusion Prevention Service, and Content Filtering. PGi is a leader in on-demand, innovative, worldwide unified communications. PGi delivers a broad range of efficient alternatives to traditional hardware and software solutions. A single on-demand platform organizes their Conferencing & Collaboration solution sets. SAVVIS, Inc. is a global IT utility services provider that leads the industry in delivering secure, reliable, and scalable hosting, network, and application services. SAVVIS’ strategic approach combines the use of virtualization technology, a utility services model, and automated software management & provisioning systems. The SAVVIS network spans 110 cities in 45 countries. 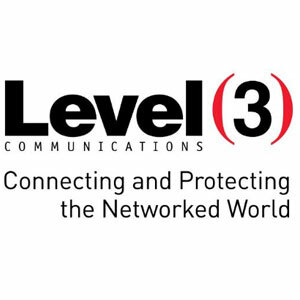 Level 3 couples a broad service portfolio with one of the world’s most scalable end-to-end networks to deliver a set of solutions built for the 21st century. Network offerings include Internet Protocol (IP) services, metro and longhaul transport, content and video delivery, and data & voice services. You don’t have the time or money to waste on the wrong communication systems. Voxox knows that. You don’t want to spend a fortune on phone equipment, either, and Voxox knows that too. You need communication solutions that are affordable, reliable, and easy to manage. That’s why they provide best-in-class business VoIP solutions for their SMB and Enterprise clients. Voxox offers one plan for everything: voice and data, fully integrated call center solutions, and the latest in VoIP technology and phone equipment — including HD Voice. Zayo provides high bandwidth connectivity solutions for businesses and carriers. Its private optical network delivers key network and IP services in and among the top U.S. metro markets, as well as globally. Zayo’s network is widely used in demanding markets like financial services, media, health care, retail, and government. Over 2.1 million fiber miles of private, purpose-built networking provides end-to-end connectivity in and among top U.S. markets and around the world. NeoNova gives you the tools your team needs to be productive anywhere, with anyone, and on any device. We serve as your virtual IT partner so you can cost effectively run your business, optimize your IT resources, and take the stress away from day-to-day operations. As an authorized premier reseller of Google Apps for Work™, Microsoft Office 365 Gold Certified Partner, and partner with more than 25 other top-tier vendors, NeoNova has the ability to provide you and your customers with the industry’s best productivity cloud software. Comcast is THE largest cable operator in the United States. They own and operate a diverse national network, independent from ILECs/CLECs. Comcast Corporation is the nation’s leading provider of entertainment, information, and communications products & services. They offer a robust product portfolio that addresses the needs of mid-market customers. HOSTING collaborates with customers to create custom cloud environments that meet today’s needs and anticipate tomorrow’s challenges. Learn why more than 3,000 global companies rely on HOSTING as their trusted cloud solutions provider and why ITD Solutions of Boston decided to partner with them. Alteva Communications offers cloud-based Unified Communications solutions designed for the Enterprise market space, including: hosted VoIP; hosted Microsoft Communication Services; Fixed Mobile Convergence; and Advanced Applications for PCs. Their services allow for seamless transition across collaboration tools, creating more productivity in the workplace and enabling efficient use of employee time. Headquartered in our nation’s birthplace along Independence Mall in Philadelphia, Alteva delivers cloud-based Unified Communications solutions across all 50 states and four different continents. Their customer service and communications network are among the most reliable, proactive, and cost-effective in the country. 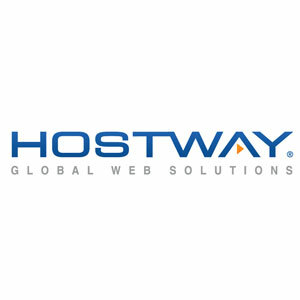 Hostway Corporation is a leader in Cloud, Managed, and Dedicated Server Hosting. Hostway delivers reliable, secure, and scalable “Infrastructure-as-a-Service” (IaaS) solutions to over 600,000 customers worldwide. They serve their clients from their more than 250,000 square feet of state-of-the-art data center space, spanning four continents and 12 countries. Hostway has emerged as one of the largest cloud hosting and Infrastructure-as-a-Service providers in the world, thanks in large part to the company’s expertise in developing secure, multi-tenant hosting environments. They are committed to providing SMBs and large enterprises with cost-effective business solutions. Hostway’s core products include Managed Hosting, Cloud Hosting, Email, and Applications. Need Fiber? Since its inception, NEF has been known for expertise in dark fiber – and while clients still very much rely on NEF as the go-to source for bandwidth intensive networks, there’s much more to the suite of solutions than dark fiber alone. NEF specializes in four areas surrounding high capacity optical fiber solutions: network connectivity and brokerage; network maps and procurement; data centers, colocation and BC/DR; and consulting with custom reports and feasibility studies. Any App | Any Device | Anywhere. 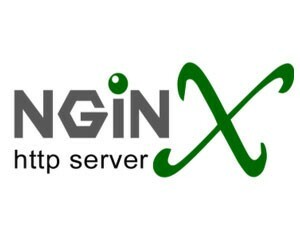 Since 2000, nGenx has been a leader of the cloud computing industry. Our cloud solutions allow you access to your applications and data from your smartphones, tablets, and of course, your computers. We streamline desktop and application management, allowing you to provision applications in minutes and instantly scale your infrastructure as needed…without having to manage any software or data. ServerCentral provides highly reliable IT infrastructure in secure facilities across North America, Europe, and Asia. Their industry-leading services include colocation, cloud solutions, network connectivity, and managed services. A wide range of global companies rely on and trust ServerCentral to deliver turnkey data center solutions. ServerCentral enters the cloud space with over 12 years of experience in custom infrastructure design. Headquartered in Little Rock, Ark., Windstream Communications offers Voice, Internet, MPLS, Long-Distance, and Hosted PBX services over a combined CLEC/ILEC network. Windstream has a long and proud history of providing quality products and dependable service to their customers, dating back to 1943. That tradition continues today as they help businesses increase productivity and efficiency with advanced communication and data solutions. Star2Star Communications delivers the World’s Most Scalable Cloud Communications Solution. We unify customers’ voice, video, fax, instant messaging and presence management into a single, easy-to-use solution that enables visibility and improves productivity. Our award winning, patent-pending Constellation™ technology overcomes the reliability and quality limitations of other hosted technologies. XO Communications is a full-service provider of telecommunications services. XO possesses a wealth of local fiber, DSL, fixed wireless, data networking, Internet, and long-haul network assets. Few — if any — U.S. emerging service providers can match it. In fact, XO is positioned as one of the only national, local end-to-end broadband communications companies in the country. Wide Open West is the ninth largest cable TV provider in the United States. Additionally, the company offers landline telephone and broadband Internet services.